The 2014 law created the Executive Climate Change Coordinating Council (EC4) and gave it an ambitious to-do list. But Rhode Island’s pass-the-buck General Assembly expected the unpaid 12-member board, with no staff to conduct research or handle administrative tasks, to address the many challenges of climate change with no funding and no authority. Half a decade later, marginal support from the Statehouse has left Rhode Island running to stand still. The recently released Civic Alliance for a Cooler Rhode Island (CACRI) assessment sheds light on Rhode Island’s lack of urgency when it comes to concrete actions on climate-change mitigation and, to a lesser extent, adaptation. The author of last month’s assessment, Ken Payne, said part of the problem is that the EC4 was never given any authority to enforce climate targets. He noted that the Resilient Rhode Island Act neither includes a grant of powers to the EC4 to perform its duties nor provides for an allocation of resources needed to do the work. Enforceable targets for greenhouse-gas emissions reductions are crucial and new powers of implementation need to be established in state agencies, according to the 10-page assessment. During a press briefing last month to discuss the CACRI assessment, Payne, a former senior policy adviser to the Rhode Island Senate and a former director of the Rhode Island Senate Policy Office, noted that now is the time to assess the situation and make adjustments to state agencies and public law that are responsible for the reduction of Rhode Island’s climate emissions. Payne noted that the EC4 meets during typical business hours, thus giving the working public a narrow opening to address the council. For instance, the EC4’s most recent meeting, Dec. 3 at Rhode Island Department of Environmental Management (DEM) headquarters in Providence, was held from 2:30-4 p.m. He said many of the comments heard at these meetings are given by people with a professional career interest in climate-change issues, such as energy companies and fossil-fuel front groups. ecoRI News takes a look at the tasks the EC4 was expected to address. It was, for example, required to present its own data and recommendations to meet climate goals, but has so far produced nothing. It hasn’t funded a report that studies a possible carbon tax, not surprising since the council’s work is unfunded. It’s overdue in publishing its 2018 annual report. Also, the EC4’s Science & Technical Board hasn’t delivered updates on climate-change assessments. In fact, the advisory board hasn’t met with a quorum since 2016. STATUS: This past summer state officials unveiled the Resilient Rhody plan. The report, which state officials routinely point to for its importance, combines the climate-change work of various local agencies, institutions, and environmental groups and, based off that already available information, lists five dozen recommended actions, such as monitor existing coastline pilot projects, develop offshore sand sources suitable for beach replenishment, prioritize beaches to be re-nourished, and create beach and barrier migration pathways through property acquisition and relocation of structures. The 2018 document is the culmination of 54 reports and studies conducted across the state since 2014 and 10 public meetings held statewide in 2017. Resilient Rhody offers a host of guiding principles, such as “Equitably reduce the burden of climate change impacts with particular attention to environmental justice communities across the state,” and talks a good game — “Effectively addressing climate change needs to leverage bold emission reduction targets and adaptation measures.” — but provides no clear path on how to make the big changes needed to effectively address climate change. The report doesn’t include any immediate action steps or a timeline for meeting its goals. It makes no mention of a carbon tax or of carbon pricing. TASK: No later than Dec. 31, 2017, submit to the governor and General Assembly a plan that includes strategies, programs, and actions to meet targets for greenhouse-gas emissions reductions: 10 percent below 1990 levels by 2020; 45 percent below 1990 levels by 2035; 80 percent below 1990 levels by 2050. The plan would also study the effectiveness of a state and/or multi-state carbon-pricing program (carbon tax) to incentivize institutions and industry to reduce carbon emissions. STATUS: More than a year has past since the deadline was ignored and no plan has been submitted. Bills to create a carbon tax have gone nowhere. In 2015, sponsors of carbon-tax legislation pulled their bills after deciding the idea was bad for the economy. In 2016, a carbon-tax bill died in committee. In 2017, the Senate made a concession by passing a bill that ordered a study of the impacts of a carbon tax on Rhode Island — the same kind of study the Resilient Rhode Island Act mandated three years earlier. Raimondo signed the bill, but the study has languished because of a lack of funding. Last year, another carbon-tax bill and a bill that would have given the toothless Resilient Rhode Island Act some enforcement bite were both held for further study. “It really hogties Rhode Island citizens and Rhode Island businesses,” Rep. Daniel McKiernan, D-Providence, gave as a reason in 2015 for why he pulled his carbon-tax legislation. Then, like now, business groups oppose this climate solution, because it would rattle the status quo. The Greater Providence Chamber of Commerce, the Northern Rhode Island Chamber of Commerce, the New England Convenience Store & Energy Marketers Association, the Rhode Island Business Coalition, the Rhode Island Lumber and Building Materials Dealers Association, and the Oil Heat Institute of Rhode Island have claimed a fee on carbon would impose a financial burden on businesses. While research and studies have found that a fee on carbon both helps the environment and the economy, well-compensated front groups for the well-heeled fossil-fuel industry lobby Congress to oppose climate legislation, spread false information about climate science, and run marketing campaigns that boost the image of coal, natural gas, oil, and other carbon energy sources. One study, for instance, has concluded that British Columbia’s fuel tax has been successful at cutting carbon emissions and reducing individual and corporate taxes. A 2015 study commissioned by Energize Rhode Island found that a carbon tax would create up to 5,000 new jobs and generate about $140 million annually. Forty million of those dollars would subsidize renewable-energy projects and energy-efficiency programs. The remainder would returned to taxpayers as a dividend. Eight well-connected conservatives, in February 2017, authored a paper titled The Conservative Case for Carbon Dividends that called for a gradually increasing carbon tax. “Mounting evidence of climate change is growing too strong to ignore. While the extent to which climate change is due to man-made causes can be questioned, the risks associated with future warming are too big and should be hedged,” according to the authors, who still felt the need to question established science. A carbon-tax dividend shifts wealth to lower income groups, so that could be the reason why the idea of a nationwide carbon tax doesn’t receive serious congressional consideration. As for the Ocean State’s emission-reduction targets, Elizabeth Stone, DEM’s programming services officer, told ecoRI News that Rhode Island is on track to meet 2020 target levels. DEM noted that the state has accomplished this through a “comprehensive suite of strategies:” the Regional Greenhouse Gas Initiative; energy efficiency; the Renewable Energy Standard; and Raimondo’s Lead by Example executive order. DEM said it will release the state’s greenhouse-gas emission inventory and report on meeting Resilient Rhody’s targets by the end of the year, as required by another report, the 2016 Rhode Island Greenhouse Gas Emissions Reduction Plan. TASK: Advance the state’s understanding of the impacts of climate change, including, but not limited to, sea-level rise, coastal and shoreline changes, severe weather events, critical infrastructure vulnerability, and ecosystem, economic, and health impacts, including the effects of carbon pollution on children's health. STATUS: It could be easily argued that those most in need of understanding — and respecting — the impacts of climate change roam the Statehouse’s hallways and lounge in its corner offices. A bevy of plans, studies, and assessments — many of the them commissioned by lawmakers themselves — paint a perfectly clear picture of the situation. From vector-borne diseases to the stability of the region’s fisheries to its impact on the state’s most vulnerable populations, climate change is poised to effect every aspect of life in Rhode Island. According to the Centers for Disease Control and Prevention (CDC), Lyme-infected ticks will have a startling migration westward and northward because of climate change. In 2014 Rhode Island had the fourth-highest rate of Lyme disease in the country per capita. In 2017, Rhode Island for the first time since 1990, when such record keeping began, the state had more than 1,000 cases of Lyme disease reported (1,132; 595 confirmed). The CDC has labeled Rhode Island a “high-incidence” state. Southern New England’s coastal waters are warming, and key species are disappearing (cod and winter flounder), southerly species are appearing more frequently (spot and ocean sunfish) and more unwanted guests are arriving (jellyfish that have an appetite for fish larvae and, in the summer, lionfish, a venomous and fast-reproducing fish with a voracious appetite). This biomass metamorphosis will likely transform southern New England’s fishing industry. Species native to southern New England marine waters, such as cod, lobster, and winter flounder, which the region’s fishing industry built its fleet around, will either adapt, find more suitable habitat elsewhere, or their numbers will decline. Ocean acidification also could have a profound impact on marine life, and southern New England’s shellfish industry could be at risk. Heat intensifies air pollution and prompts asthma attacks, heat exhaustion, heat stroke, respiratory infection, heart and lung conditions, allergic reactions, and chronic diseases. Increased rainfall increases runoff that carries toxic chemicals and pathogens, polluting groundwater and popular swimming areas. Flooding and extreme rainstorms spawn harmful mold in buildings. Heat will be a big public-health problem across the state in the years ahead. By 2070, Rhode Island is projected to experience up to 50 days of 90-plus-degree weather. In 1970, there were four days above 90 degrees; in 2013, 22 days exceeded 90 degrees; 11 days were above 90 degrees in August alone last year. The American Lung Association’s 2018 State of the Air report found that while Greater Providence saw marked improvements in both year-round particle pollution and ozone, the metro area’s progress has been less dramatic than neighboring communities, leaving it to be ranked as the most polluted county in the Boston-Worcester-Providence metro area. From 2017 to 2018, Providence County improved its grade from an F to a D.
The government’s own website posts these climate facts: Rhode Island has warmed by more than 3 degrees during the past 100 years; winter water temperatures in Narragansett Bay have increased between 2.9 and 3.6 degrees Fahrenheit; both mean and extreme precipitation have increased during the 21st century, with the highest number of extreme events occurring during the past decade; sea-level has risen more than 9 inches since 1930 at Newport, faster than the global average. TASK: Identify strategies to prepare for these impacts and communicate them to Rhode Islanders, including strategies that incentivize businesses, institutions, and industry to adapt to climate change. “This strategy is the collaborative work of over 50 working members from state agencies, academic institutions, and non-profit organizations and identifies 61 priority climate resilience actions to implement in the near term,” they wrote in an e-mail. TASK: Work with municipalities to support the development of sustainable and resilient communities. STATUS: A team consisting of one to two staff persons from each agency that makes up the EC4 is working closely with O’Rourke to identify priority projects, programs, and policies that will benefit the state’s 39 municipalities in “their collective resiliency challenges and initiatives,” according to DEM’s Stone. Stone also said that each agency constituting the EC4 has teamed up with municipalities on certain priorities. She noted that the Coastal Resources Management Council (CRMC) representative is working with cities and towns on coastal/shoreline adaptation projects and the group’s Division of Planning representative is helping with mandatory training for planning board/commission members concerning the impacts of development in a floodplain and/or in the context of sea-level rise. TASK: Identify and leverage federal, state, and private funding opportunities for emission reduction and climate-change preparedness and adaption work. STATUS: Stone noted that by approving the $47.3 million Green Economy and Clean Water Bond with 79 percent of the vote in November, Rhode Islanders approved $10 million to support resiliency projects statewide, including $5 million for coastal resiliency/public-access projects and $5 million to fortify wastewater treatment facilities. “Obviously, this funding will be a key component of the state’s partnership with municipalities,” she wrote. STATUS: The Block Island Wind Farm — which passed through two previous administrations before it was inherited by the current one — and upholding the principles of the Paris Climate Agreement don’t make the Ocean State a national leader, despite the Statehouse’s best attempts. The success of hosting the nation’s first offshore wind facility is undercut by the sitting governor cheerleading for the construction of a fossil-fuel power plant in the forests of Burrillville. Rhode Island is most assuredly a national leader when it comes to creating climate-change tools — largely thanks to the efforts of CRMC, the University of Rhode Island, and Brown University — but that doesn’t mean these tools are being used when difficult and unpopular decisions are required. The approval of a seawall for the Ocean Mist tavern in South Kingstown is a perfect example of those in power ignoring experts, the state’s own guidelines, and the threats posed by a changing climate. What Rhode Island’s elected officials seem to be good at is prolonging the study of climate change without having to take any substantive action. The volumes of reports and studies related to climate change and Rhode Island’s alphabet soup of climate-related acts, commissions, councils, committees, stakeholder groups, and executive orders are head-spinning. Disorientation seems to be the intended goal. TASK: Work with other New England states to explore areas of mutual interest to achieve common goals. STATUS: DEM said leaders from the 11 states and provinces within the New England Governors/Eastern Canadian Premiers (NEG/ECP) region worked throughout 2015, 2016, and 2017 to develop a Regional Climate Change Action Plan to be submitted to the NEG/ECP at its 41st conference in August 2017. DEM also noted programs such as the Regional Greenhouse Gas Initiative and the Transportation & Climate Initiative are “excellent examples” of states working together toward their shared climate goals. TASK: Identify and facilitate opportunities to educate the public about climate change and efforts throughout state agencies and municipalities to address climate change. STATUS: In 2017, a new provision was added to Rhode Island General Laws describing the powers and duties of a planning board or commission. The new provision requires that each member of a planning board or commission participate in training and education classes concerning the effects of development in a floodplain and the impacts of sea-level rise once every two years. Each member must complete two hours of training by Sept. 30 of the year and file with the municipal clerk a statement asserting that the training has been completed. To meet this requirement, planning board and commission members can watch six educational modules regarding making informed choices for supporting resilience to the impacts from climate change. Develop short- and long-term greenhouse-gas emission reduction strategies and track the progress of these strategies. The RES target for this year is 14.5 percent and 16 percent for 2020. The Rhode Island Division of Public Utilities and Carriers has determined that there are sufficient renewables to meet the 16 percent target for next year. “Obligated entities are meeting the targets, but it can be from a combination of renewable generation, purchase of renewable energy credits, or alternative compliance payments,” according to state officials. Under the RES currently, about 13 percent of Rhode Island’s electricity comes from sources it classifies as renewable. The greenhouse-gas reduction targets mentioned in the Energy 2035 plan recommend RES levels of at least 40 percent by 2035. The state, however, has been criticized for some of the sources it includes in its renewable-energy portfolio. A 2018 report by the Washington, D.C.-based environmental advocacy group Food & Water Watch graded 29 states on their renewable-energy programs. Rhode Island received an overall grade of a D and was criticized for its use of polluting fuels such as woody biomass and landfill gas in its renewable programs. To the maximum extent feasible, buy alternative fuel, hybrid, and electric vehicles that produce lower total emissions of greenhouse gases and develop programs to encourage state employees to reduce their vehicle miles and use sustainable transportation alternatives, including public transportation. In a pilot project sponsored by the Rhode Island Department of Transportation (RIDOT), a small fleet of six-person autonomous shuttle buses is expected to begin circulating through a stretch of Providence this spring. The electric buses will offer free rides between the downtown train station and Olneyville Square. Rhode Island has one hydrogen filling station, which occupies a corner of the Stop & Shop parking lot on Branch Avenue in Providence. These engines don’t run on hydrogen but are electric motors charged by onboard hydrogen fuel cells. The fuel cells generate electricity from liquid hydrogen stored in 5-liter tanks. DEM has 12 electric vehicles, and the Rhode Island Public Transit Authority (RIPTA) leases electric buses using funding from the Volkswagen settlement, according to state officials. RIPTA also is planning to use settlement funds to buy 16-20 electric buses in about three years, state officials said. These buses will be incorporated into RIPTA’s current routes by replacing aging diesel buses that need to be retired. In total, the state has about 150 hybrid and electric vehicles in its fleet, according to officials. Rhode Island has 86 public and five private electric-vehicle charging stations. RIPTA offers these rewards through its Commuter Resource RI program. Implement programs to achieve energy savings in state and municipal buildings to reduce greenhouse gases and reduce energy costs. A total of six state buildings have rooftop solar, a carport at the Public Utilities Commission is covered by solar panels, and DEM has 11 facilities with small solar arrays and two operational wind turbines, according to OER. Increase the deployment of in-state generation of renewable energy and energy efficiency. The city of West Warwick is the first Rhode Island municipality to utilize 100 percent renewable energy. All municipal buildings, electric-vehicle charging stations, and an electric plug-in Zamboni are all powered by solar and wind installations. The state aims to achieve 1,000 megawatts of renewable electricity by 2020. Currently, Rhode Island has 304 megawatts, from solar, wind, biomass, and landfill energy projects across the Northeast with access to the New England power grid. Since Raimondo announced the 1,000-megawatt goal two-plus years ago, the amount of renewable energy coming to Rhode Island has tripled. The state, however, is paying for much of its renewable-energy expansion, mostly ground-mounted solar panels, with forests and farmland. This solar sprawl has Grow Smart Rhode Island, environmentalists, and some municipal planners concerned. Residents in Cranston, Coventry, Exeter, Hopkinton, and Tiverton, among other communities, are fighting a growing list of ground-mounted solar projects that combined threaten to clear-cut hundreds and hundreds of acres and take farmland out of production. For the past few years, an OER stakeholders group has been working to address this statewide issue, including how to incentive the use of already developed and disturbed areas for renewable-energy projects. Using the information gathered by the stakeholders group and from issues raised during a host of public meetings, OER and the Division of Statewide Planning are working on developing guidelines for communities to consider when adopting solar ordinances. In the meantime, the number of projects proposed for and being built on open space continues to grow. Support efforts to expand Rhode Island’s green economy and develop green infrastructure. There were 15,866 “green-energy” jobs in Rhode Island, according to OER’s 2018 Clean Energy Jobs Report. Since 2014, employment in this sector has grown by 72 percent. Energy efficiency remains the largest portion of the state’s green-energy employment, accounting for nearly 60 percent of all jobs, some 9,300 workers, according to the report. In 2018, this job sector showed the largest employment growth in engineering, research, and professional services. When it comes to the development of green infrastructure, Aquidneck Island is leading the way when it comes to projects that don’t cost millions. The 175 rain barrels the Green Infrastructure Coalition gave away in 2018, for example, had the potential to divert more than 9,600 gallons of runoff. Rain gardens have been installed in Portsmouth at the Common Fence Point Community Hall and at Melville Elementary School. A rain garden at King Park in Newport directs runoff into a garden where native plants and mulch collect and filter the water. Assess the vulnerability of infrastructure, including, but not limited to, roads, bridges, dams, and wastewater and drinking water treatment facilities, to impacts of climate change and recommend strategies to protect these assets. Climate change is putting enormous pressure on the state’s wastewater infrastructure. Rhode Island is home to 19 major wastewater treatment facilities that treat some 120 million gallons of residential, commercial, and industrial wastewater daily. About 250 pumping stations are in place to transport sewage across hilly terrain to these treatment plants. Most of these wastewater systems are in floodplains to take advantage of gravity-fed flows. The DEM study Implications of Climate Change for RI Wastewater Collection & Treatment Infrastructure noted the vulnerability of Rhode Island’s systems and the Resilient Rhody report recommended accelerating the hardening and elevation of at-risk infrastructure. The Resilient Rhody report recommends that the state work with local governments to establish sustainable revenue sources for the operation and maintenance of local stormwater management systems, such as a stormwater utility district, which operates much like an electric or water utility and can collect fees related to the control and treatment of stormwater runoff. Rhode Island doesn’t have any stormwater utility districts, but has spent plenty of time, effort, and money studying the issue. The much-touted report also encourages municipalities to use green infrastructure. Municipalities are also eligible to use the Renewable Energy Growth Program and the Renewable Energy Fund to help finance their wastewater treatment systems. OER offers an incentive for cities and towns to convert their streetlights to energy-efficient LEDs. To date, 70 percent of municipal lights have been converted to LED, according to OER. The Rhode Island Infrastructure Bank and OER also provide the Efficient Buildings Fund, which helps municipalities finance energy-efficiency improvements. Work with relevant academic institutions and federal agencies to assess the threats of sea-level rise, erosion, and storm surge, and communicate these assessments and threats, along with potential tools to address them, to state agencies and affected communities. Climate change is also applying pressure to the state’s collection of roads and bridges. The Rhode Island Division of Planning has identified the ones most likely to be impacted by sea-level rise and by more frequent and severe flooding. Some of the agency’s findings: 175 miles of roads are exposed to sea-level rise; 572 miles of roads are exposed to sea-level rise and flooding from storm surge; 90 bridges are exposed to sea-level rise; 148 bridges are exposed to sea-level rise and flooding from storm surge. Rhode Island’s most vulnerable roads to sea-level rise are: Wampanoag Trail and County Road in Barrington; Hope Street in Bristol; Conanicus Avenue and North Road in Jamestown; Beach Street in Narragansett; Memorial Boulevard in Newport; Highway 24 South in Tiverton; and Main Street in Warren. The state’s most vulnerable bridges to sea-level rise are: Apponaug Bridge on Post Road in Warwick; Apponaug Mill Bridge on Centerville Road in Warwick; Barrington Bridge on Route 114/County Road in Barrington; CL Hussey Memorial Bridge on Boston Neck Road in North Kingstown; Eagle Street Bridge on Eagle Street in Providence; Easton’s Beach Bridge on Memorial Boulevard in Middletown; Park Street Bridge on Park Street in Providence; Round Swamp Bridge on North Main Road in Jamestown; Silver Creek Bridge on Hope Street in Bristol; and Warren Bridge on Route 114/County Road in Warren. Overall, Warwick, Narragansett, Newport, Barrington, and Providence are the top five municipalities most vulnerable to climate change-related road damage, according to the Division of Planning. Downtown Providence and Wickford village in North Kingstown are at risk of significant damage from 3 feet of sea-level rise. To address these climate-change issues and others, CRMC created the Shoreline Change Special Area Management Plan. As a climate-change preparedness tool it offers guidance for state and municipal planners by looking ahead at the impacts of coastal storms, erosion, and sea-level rise. It also requires some developers to include an analysis of climate-change impacts in their applications to build in coastal zones. The document, however, has no enforceable regulations. Sea-level rise and coastal erosion threaten the Ocean State’s lifeblood: its beaches and coastal attractions. There are more than 20 million Rhode Island beach visits annually, and the total economic value of these beach days is estimated at about $155 million a year. In Newport, sea level-rise maps of the city’s waterfront, the heart of a thriving tourist economy, reveal large swaths of harbor-side neighborhoods inundated and prominent waterside landmarks partially submerged, all within an enlarged harbor created by an additional 5 feet of sea. The City-by-the-Sea’s tourism industry, real-estate market and, by extension, the city’s tax base are threatened by the rising sea. About $4.5 billion worth of property in Rhode Island’s 21 coastal communities lies on land less than 5 feet above the high-tide line. Rising seas also generate saltwater intrusion that can contaminate drinking water supplies and private wells, damage septic systems, reduce the lifespan of asphalt, and threaten freshwater wetlands. While CRMC’s primary responsibility is for the preservation, protection, development and where possible the restoration of the Ocean State’s coastal areas via the implementation of its integrated and comprehensive management plans, its citizen board, which lacks coastal knowledge and is appointed by politicians, has often ignored years of experience to overrule staff on shoreline development projects. Develop a climate and health profile report that documents the range of health impacts associated with climate change and identifies the most vulnerable populations. While the EC4 and its partners have spent the past four-plus years collecting information about the health impacts of climate change, the state’s findings are often ignored when it comes time to put them into practice. For example, climate-change health concerns tied to a proposal to expand fossil-fuel infrastructure along Providence’s industrial waterfront have mostly been met with reassurances that the natural-gas tank will be elevated enough to withstand projected sea-level rise combined with a 100-year storm. The building of more polluting infrastructure — the same infrastructure that contributes to climate change — along the Providence River and upper Narragansett Bay has largely been ignored by those who proposed the project, National Grid, and elected officials who were sworn to protect the public’s interest. While disregarding the already-high rates of asthma in the neighborhoods that surround the project, National Grid and too many federal, state, and local officials have remained silent concerning the legacy of pollution bound to the proposed liquefied natural gas (LNG) site and the Port of Providence. At a late 2017 CRMC meeting, where neighbors spent most of their time expressing concern about their health and safety should another LNG facility be built, the project’s manager showed just how out of touch National Grid is when it comes to those concerns. The company official said the project’s new buildings fit with the tan color scheme of neighboring structures, and at 108 feet is shorter than the 127-foot-tall gas storage tank it will sit next to. The much-bigger concern, however, is that the the jacked-up LNG facility would add to the port’s collection of imported and stored petroleum products such as home heating oil, jet fuel, natural gas, and diesel. Buried in the area’s dirt and sediment and blowing in the wind are polycyclic aromatic hydrocarbons, total petroleum hydrocarbons, benzene, formaldehyde, cyanide, asbestos, lead, ammonia, arsenic, and polychlorinated biphenyl, a human carcinogen. Much of the infrastructure in and around the port is aging. Sea-level rise and other climate-change impacts threaten to unleash all of that nastiness. The Federal Emergency Management Agency considers Providence to be the “Achilles heel of the Northeast” because of its position at the head of Narragansett Bay, according to a 2014 study. “For context, before Hurricane Katrina caused $80 billion in damages to the Gulf Coast, FEMA considered New Orleans to be the Achilles heel of that region,” according to the 113-page report. Encourage municipalities to incorporate climate-change adaptation into local hazard mitigation plans and, when feasible, into hazard mitigation projects. Rhode Island has about 420 miles of coastline that extends inland to include multiple waterways, most notably Narragansett Bay. Shoreline types along the bay include vegetative buffers and salt marshes, riprap, bulkhead, and other hardened structures. The bay’s shoreline also features disturbed areas, preserved marshland, post-industrial fill and polluting businesses. The bay’s working waterfront includes sites that store hazardous materials. Since the flooding of early 2010, Cranston has been buying houses and tearing them down. About 20 homes in flood-prone neighborhoods along the Pawtuxet and Pocasset rivers have been razed and hauled away, and the lots reclaimed by shrubs, grasses, and wild turkeys. Cranston officials have said the buyout program works because the city pays between $200,000 and $220,000 per home, a modest price compared to homes in other coastal flood zones across the state. The city pays about 25 percent of the cost and the Federal Emergency Management Agency funds the rest. Not all of the Ocean State’s coastal communities, however, are along the shores of Narragansett Bay. Charlestown, Narragansett, and Westerly, for instance, are on the open ocean and that presents a different set of climate-change problems, most notably accelerating erosion. 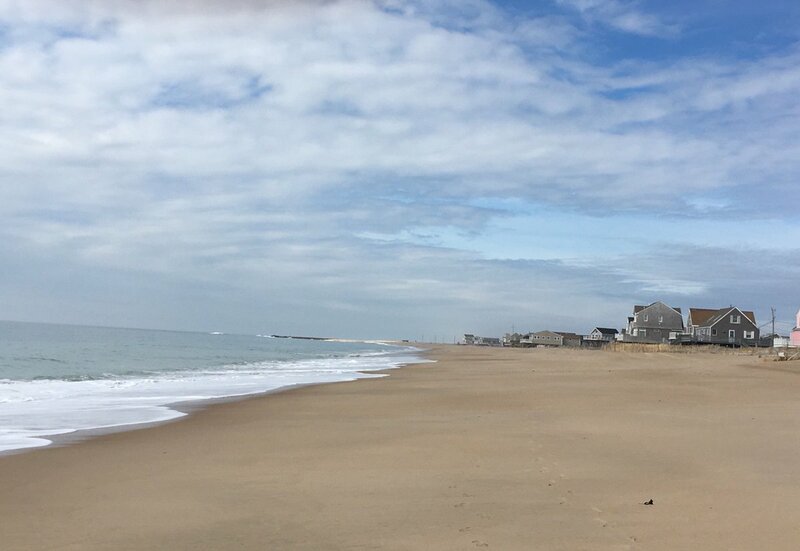 Along the state’s more exposed southern shoreline in communities from Point Judith to Watch Hill, Matunuck, Misquamicut, and South Kingstown Town Beach have lost some 400 feet of beach combined during the past four decades. Take affirmative steps to eliminate and avoid duplication of effort through consistent coordination between agencies and programs, and pooling of resources, so as to make the most cost-efficient use of state resources and provide the most effective services. A project at the Sapowet Marsh Wildlife Management Area in Tiverton is an effort to restore the condition of the beach and salt marsh while also creating a coastal buffer that will provide area for both the beach and salt marsh to migrate inland as sea level rises. Partners in the Sapowet effort include Save The Bay, CRMC, the U.S. Fish & Wildlife Service, and the Tiverton Conservation Commission. More than four years since the Resilient Rhode Island Act was trumpeted by both lawmakers and environmentalists, the Ocean State has made only a tiny dent into the work that needs to be done to effectively address the local challenges presented by climate change. Proactive actions work much better than reactive panic. They’re also less expensive and more friendly to future generations. The state of Rhode Island, its 39 cities and towns, academic institutions, and state agencies have accumulated an impressive amount of climate-change data, commissioned reams of reports, and created nationally recognized tools, such STORMTOOLS and special area management plans, to address a multitiered issue. The state, however, as the recent Civic Alliance for a Cooler Rhode Island assessment makes clear, has taken far less action to actually address climate-change impacts and greenhouse-gas emissions. Rhode Island needs more than unenforceable goals, recommended guidelines, a patchwork of projects, wobbly partnerships, endless studies, and programs that lack funding and muscle. Meaningful and necessary mitigation and adaptation requires bold action.